When it comes time to search for a high quality used car, truck, or SUV to purchase, it is beneficial to know what types of qualities to look for in pre-owned vehicles. While some models might appeal to you aesthetically, they may not be the best choice when it comes to long term reliability or a low cost of ownership. Rather than get stuck with a used car that won’t live up to your expectations, consider finding a pre-owned model with high industry accolades. Vehicles that were recognized for their outstanding achievements when they were first introduced to the market tend to make the most dependable used cars for future buyers. Before heading out to one of the many used car dealers Chicago has to offer, check over this list of industry honors that your next new-to-you car should have earned when it was new. If you have ever looked into purchasing a new or used car, then you have likely heard of some of the top industry awards that are bestowed upon a select few vehicles each and every year. While some of these accolades don’t mean much more than a hearty pat on the back, others represent some of the highest honors available to new vehicles that are introduced to the market. Recognizing the difference between the two, and finding a used car that features a few of these awards in its trophy case, can mean the difference between driving a used vehicle for a few years, and owning it for a few decades. Be on the lookout for these expert industry names, and see if the model year you are looking to purchase used has earned any of these in the past. Motor Trend: The magazine has been handing out the coveted title of Car, Truck, and SUV of the Year to deserving recipients for decades, and is widely thought to be the highest honor available in the automotive world. Every year, the industry authority takes contenders out on the track for various tests to determine which one is worthy of being called the Car, Truck, or SUV Of the Year. If the used car you are thinking of purchasing was awarded this honor when it was first released, you can almost bet that your buying choice is a good one. Car and Driver: Another magazine that publishes an annual list of noteworthy new cars, trucks, and SUVs each year, Car and Driver’s 10 Best list highlights what they consider to be the best vehicles of the year. To qualify, vehicles must be priced below average, be on sale by January of the same year it is nominated, and be redesigned or substantially altered from the previous model year. The list has been released since 1983, and has been one of the highest industry honors ever since. Kelley Blue Book (KBB): KBB is another industry authority when it comes to the world of cars, trucks, and SUVs, and passes out its fair share of awards every year. Aside from releasing various 10 Best Awards each year, KBB also hands out Best Resale Value awards, an annual Best Buy Award, 5-Year Cost to Own awards, and more. Another indicator that your used vehicle is likely to last you longer than others, is if it earned a KBB award from any of the publication’s categories. J.D. Power: The global marketing information services corporation is based in America, and was founded back in 1968. Since that time, the firm has conducted studies regarding customer satisfaction, new car quality, buyer behavior, and long term dependability on new vehicles. J.D. Power is easily one of the most widely recognized names when it comes to automotive awards, and it is also one of the most trusted sources for finding high quality vehicles to purchase new and used. Cars that were given a J.D. Power award for dependability and long term reliability, are all but guaranteed to make exceptional pre-owned vehicles. Edmunds.com, Inc: The Santa Monica based company is known for providing car buyers with online resources and information regarding new and used vehicles. Known for providing car shoppers with a True Market Value pricing tool, the company also delves out countless awards and kudos to deserving manufacturers and their models. The online company rates various cars, trucks, and SUVs, and releases lists for consumers to reference when making new and used car purchases. The organizations outlined above are certainly considered some of the foremost authorities in the automotive industry, but they aren’t the only names you should be looking for when buying a pre-owned car. The IIHS, NHTSA, and Vincentric are also great resources to keep in mind when vetting possible used cars to buy. When a vehicle has been recognized for its outstanding ability to provide long term dependability, reliability, safety, or a low cost of ownership, it is certainly worth a closer look. If you regularly watch television, then you know it is no secret that Chevrolet is the most awarded automotive brand in America. With more awards and recognition than any other automotive manufacturer in the country, the bowtie brand is hands down your best bet for finding high quality pre-owned cars, trucks, and SUVs. Chevrolet of Naperville carries a large inventory of high quality used Chevy models from various years, and at a price point for every budget. Chevrolet may be the most awarded brand in America right now, but it has been producing high quality models for as long as it’s been in business. 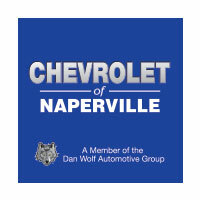 The experts at Chevrolet of Naperville will help you find the right used Chevy for your needs, and one that has earned some of these top industry honors. Whether you live in downtown Chicago, Plainfield, Lisle, Aurora, Bolingbrook, Bloomingdale, or right here in Naperville, be sure to come down to Chevrolet of Naperville for your next pre-owned car purchase. There isn’t a better selection of dependable used cars, trucks, and SUVs in the entire Chicagoland area, then there is here at Chevrolet of Naperville. We hope to see you soon.